Hi…I'm Mark, a freelance designer & front-end developer based in the UK. I work remotely with startups, established businesses, talented teams and individuals all over the world designing and building responsive marketing websites and crafting pixel-perfect user interfaces for iOS and the web. Responsive layouts cunningly crafted and freshly built on top of a fluid foundation means your website can be enjoyed on any desktop, tablet or smartphone. Focusing on performance and functionality, I write efficient code that transforms a great design into the finest interactive experience for every user. User approval and standing out in a competitive app market is crucial. I can help you create a unique, engaging interface that people will want to use over and over. RW Elephant are a small team based in California that provide software for the event rental market. 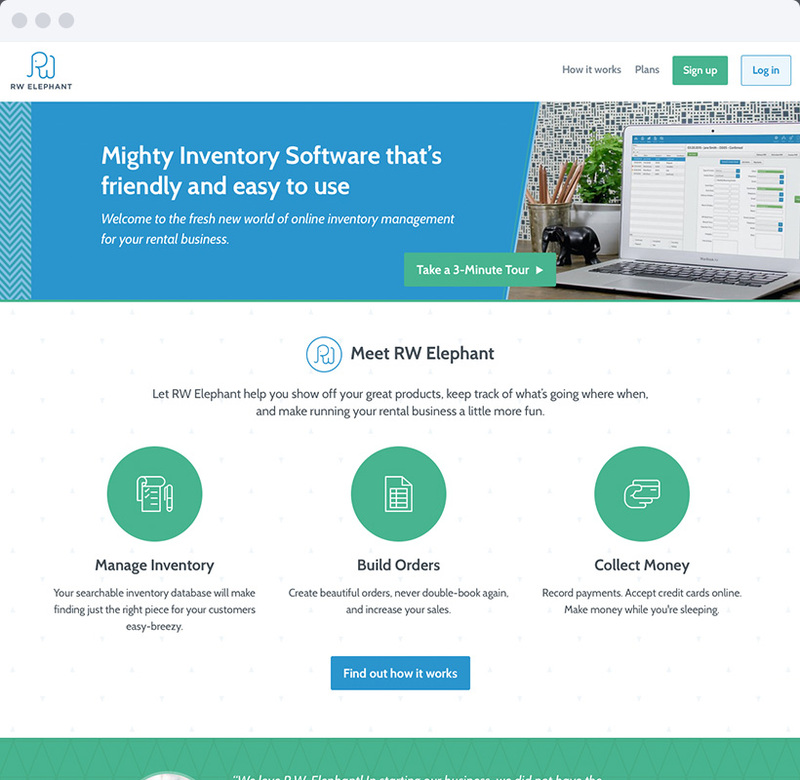 I worked alongside RW Elephant to create a fresh new brand and responsive marketing website.